"Mark Inabinett argues that sport's golden age, the 1920s, was largely the creation of the purple prose of Grantland Rice. it was a period that craved heroes...and Rice delivered the goods. 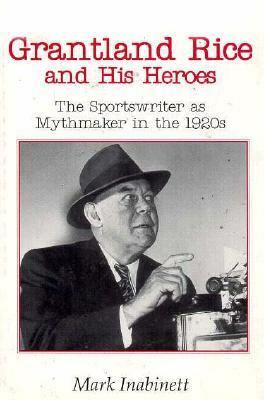 "Inabinett, Mark is the author of 'Grantland Rice and His Heroes The Sportswriter As Mythmaker in the 1920s' with ISBN 9780870498497 and ISBN 0870498495. Loading marketplace prices 11 copies from $4.47 How does the rental process work?